Hunky heartthrob Benedict Cumberbatch and theatre director Sophie Hunter finally tied the knot on Valentine’s Day. Pictures of Hunter’s wedding dress have been released and Luxe Models has got to say, she looked absolutely fabulous! We were not pleased to hear the name Sophie Hunter. 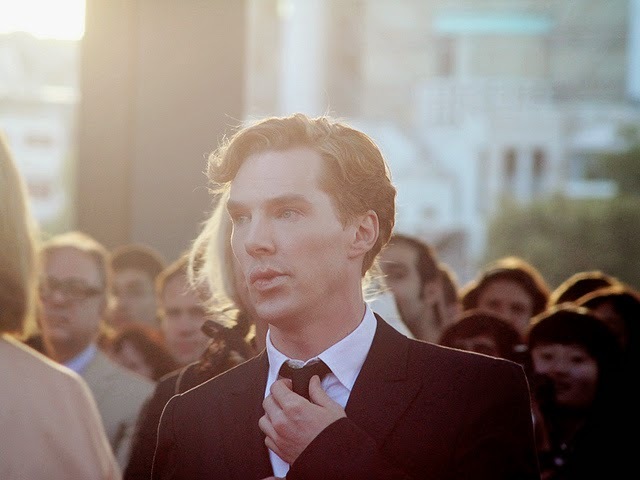 Benedict Cumberbatch is the epitome of the British leading man. His smooth upper crust accent, cut-glass cheekbones, buff bod and smouldering orbs are enough to make anyone swoon. In other words there’s more than one person in the Luxe Models office who has a crush on the Sherlock actor. That’s why we went into mourning last year when Cumberbatch took out an ad in The Times to announce his engagement to a woman by the name of Sophie Hunter. The green eyed monster faded the minute we clapped eyes on an article on Your Tango in the aftermath of the shock announcement. As it turns out, the now-Mrs Cumberbatch is a spectacular woman. Check this out. She’s an Oxford graduate. She has a degree in modern foreign languages from the exclusive university. Furthermore Hunter is a celebrated director of plays and operas. She won a Samuel Beckett award for The Terrific Electric, which she wrote and directed. She’s also an actress who’s appeared in small screen staples like Midsomer Murders and Torchwood. We’re starting to think she’s the one who’s too good for him. Now it turns out she’s got a killer fashion sense too. Legendary photographer Annie Leibowitz recently photographed the director in her wedding dress for US Vogue. We never knew we could fall in love with a piece of clothing. What a vision. Hunter chose a floor-length silver lace Valentino Haute Coutre gown with impeccable embroidery for her big day. A demure yet inspired creation, the long-sleeved dress boasted a subtle empire waistline which set Hunter’s statuesque figure off to perfection whilst discreetly disguising her growing baby bump. We’d have paid a million pounds to be a fly on the wall at that wedding. At Luxe Models we reckon the Imitation Game star fell in love with his bride all over again the minute she started walking down the aisle. In that dress, who wouldn’t fall in love with her!